The Alfa Romeo Giulia TZ (also known as the Alfa Romeo TZ or Tubolare Zagato) is a small sports car produced by Alfa Romeo from 1963 to 1967. Originally built in only two generations. 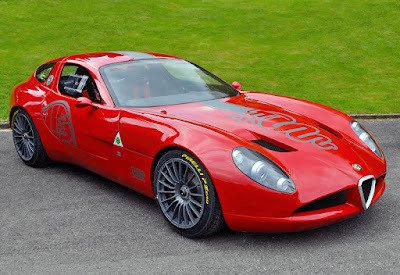 But back in 2009 the legendary Italian coachbuilder Zagato started the 'TZ3 Program' (meaning as the 3rd generation of Tubolare Zagato) to celebrate the centenary of Alfa Romeo in 2010 by making the Alfa Romeo TZ car in 2 types of models, ie. 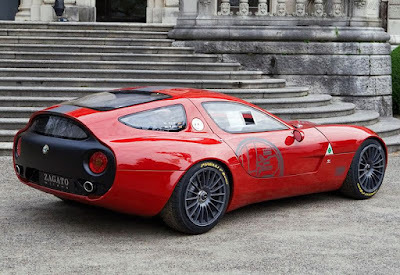 Alfa Romeo TZ3 Corsa and Stradale. 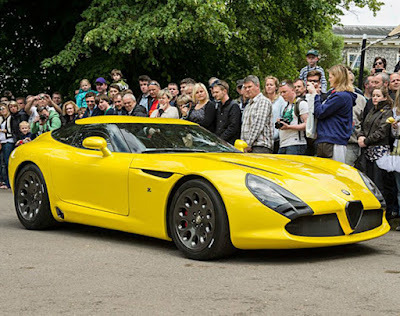 And the one-off Alfa Romeo TZ3 Corsa concept car was first unveiled at Villa D'Este Concorso d'Eleganza 2010, and one year later, Zagato began making and shipping its first production version, dubbed the Alfa Romeo TZ3 Stradale. 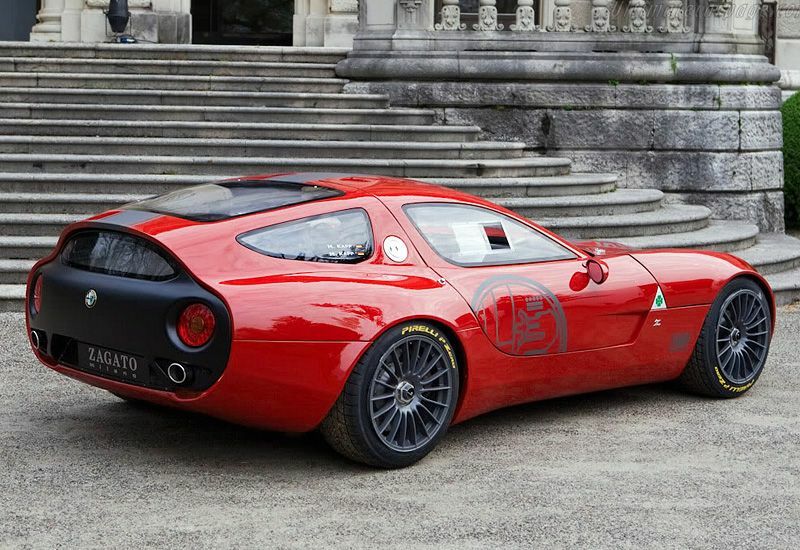 "Italian design meets raw American power," that's the tagline for Zagato Alfa Romeo TZ3 Stradale. The super car was built by those Italian coachbuilder by taking the base of the 2010 Dodge Viper ACR. As we know that those modern American muscle car was used a Viper V10 engine with a capacity of 8.4 liters capable of producing power up to 640 horse power. Yes, unlike the previous TZ3 Corsa, which shares its mechanics with the Alfa Romeo 8C Competizione, while the TZ3 Stradale is not only based on the Dodge Viper ACR mechanical chassis but gets its own unique carbon fiber body. The making of TZ3 Stradale cars also called as a tribute to the heritage of street legal cars built by Alfa Romeo and Zagato. And in order to support its exclusivity, so this car was made and launched from the coachbuilder factory in Italy in a very limited numbers of only nine units. This Zagato-made car body looks good from several angles, but it is rather strange from another angle. And inside its cabin, the use of luxurious leather and smooth aluminum panels still cannot hide the authenticity of the Dodge Viper interior, but they are sure to make it look a little more pleasant and luxurious for the eyes compared to the previous generation standard Viper cabin. The first example of TZ3 Stradale has been delivered to an American Alfa Romeo collector, Eric King, who also happens to be on the board of the Saratoga Automobile Museum and the rest are spread in US, Europe and Japan.